1999 When did you last see your glasses? We are delighted to announce that the Aspire Theatre Company have decided to support Play In A Week as their chosen charity. Their Director, Jeanette Lawrence, heard about us from Josh, one of our amazing volunteers. She visited us a couple of times during the week and was blown away by the experience. Part of Aspire’s philosphy is to “put back” into the wider theatrical world and they have made us part of this through their generosity. 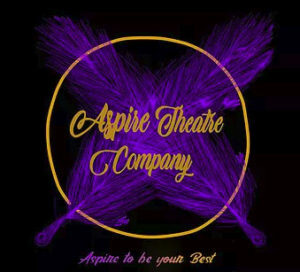 Aspire Theatre Company is a performance based drama company, for 11-25 year olds, that specialises in adapting, modernising and performing Shakespeare’s plays. We love a contemporary twist and aim to tell his stories in a fun, dynamic, physical way. If you want to come along and join in this year please fill in an Application Form and return it to us by May 31st 2019. What is Play In A Week? Find out how easy it is to raise funds for us while you shop online with many major retailers! See the people who bring the magic to the stage! See our hard working back-stage crew!